Ordering at Inovex Enterprises Pvt. Ltd .is easy. 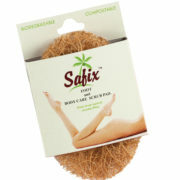 Placing your first order for SafixTM scrub pad ? Just select which scrub pad you like either the all-purpose scrub pad(small or large), the Soap Lift or the Body care scrub pad you want to shop, enter your shipping address and payment information and you are home. For International destinations, your order would be delivered through UPS Courier at your doorstep. Once your Order is successfully placed, you will receive a confirmation mail from Inovex Enterprises Pvt. Ltd. This mail will have all the details related to your order. Order details can also be viewed at My Account – My Orders if you have placed the order on your own online. Yes. We do take orders over phone but we don’t offer cash on delivery. Your order status is updated to you via emails at every step. Once your order is placed you would receive an email with your order details. Again after your order is dispatched we send you your tracking details. Please check spam for the status of your order. In case of any unforeseen events, which delays your order you would receive a special update from our end. In order to place bulk orders, please drop a mail to sales@inovexenterprises.com with your requirements and the concerned team would get back to you. This is to inform that INOVEX ENTERPRISES PRIVATE LIMITED are entitled to proprietary privileges on their Abrasive pads/scrubbers used for cleaning utensils and the like sold under Regd. 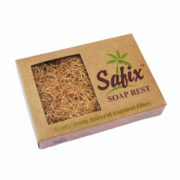 Trade Mark SAFIX SCRUB PAD® by way of validly subsisting priority legal claims under the applicable Patents Laws. 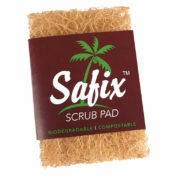 Be it noted that the said proprietary coir based abrasive pad/scrubber covered under validly subsisting priority patent claims and/or related technical know–how/working procedures for manufacturing the same covering applicable legal provisions including provisional and granted patent rights on the product which entitle INOVEX ENTERPRISES PRIVATE LIMITED to notify to prevent third parties who do not have its consent from the act of making ,using, offering for sale .selling or importing for those purposes that product or dealing with in any form and manufacturing the said proprietary coir based abrasive pad/scrubber . Agreeing to, in case found dealing with unauthorized such proprietary coir based abrasive pad/scrubber , compulsory revealing of its source and manufacturing premises and liability for consequences including Damages or account of profit for such unauthorized dealing. You are hereby intimated that by agreeing by further access to the website you are confirming having read and understood the contents and applicable obligations and liabilities in dealing with the proprietary coir based abrasive pad/scrubber as notice of proprietary rights vesting with INOVEX ENTERPRISES PRIVATE LIMITED on the said proprietary coir based abrasive pad/scrubber .